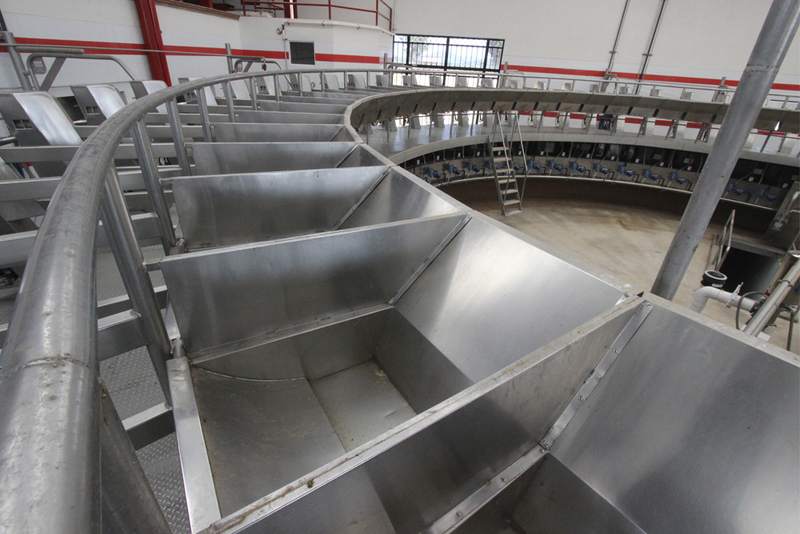 Madero Dairy Systems - Individual feeding supplier in the milking parlor. 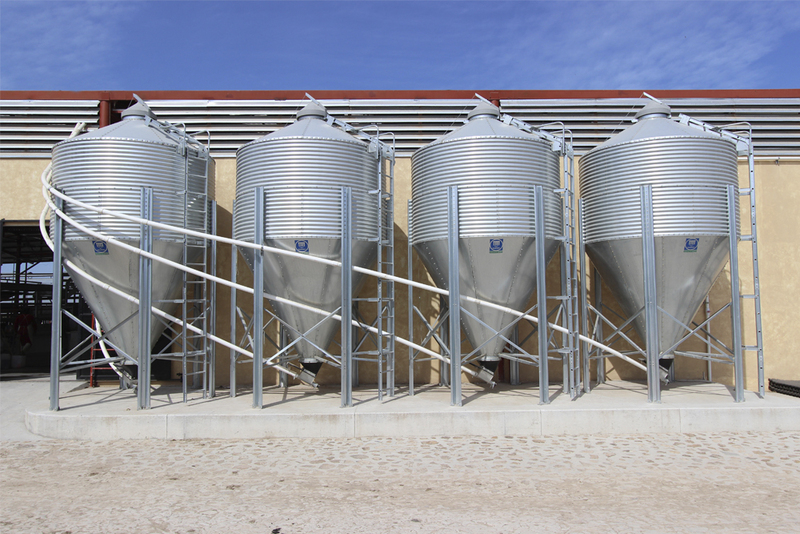 AfiFeed is an individual feeding supplier system for dairy cows that is part of the precision management products that Madero Dairy Systems offer. Its design has the purpose to increase production based in an efficienct and calculated supply of nutritional supplements according to the individual requirements of the cows. The AfiFeed system can be set to work inside the milking parlor or installed as an independent module outside of it rationing 4 different types of suplements all based in the herd’s requirements. Allows to make a schedule by herd or cow. Rations specific quantities of 4 different types of nutritional suplements in each stall or module. Calculates the optimal quantity of the ration based on the production, lactation period, food group, established diet by the vet, etc. Can be programmed to give portions daily or in specific days. Prevents food transfer among cows. Generates reports indicating irregularities in given rations and also of the consumed quantities by herd. Determines the precise suplement to the daily ration based on milk yield, milk components and body weight considering the energy balance of the cow. A milk yield increase based in an efficient and calculated nutritional suplements suppy according to the nutritional requirements. Combined with the AfiWeigh system you can elaborate individual rations for an immediate treatment of feeding and health problems.